There are many prestigious horse races held in Australia. One of the biggest racing events hosted by Australia is the Cox Plate. It is held each year at the Moonee Valley Racecourse in Melbourne and has a prize value of $5,000,000. Since the race made its debut in 1922, the Cox Plate has been won by legendary horses such as Phar Lap and Northerly. America is well-known for its Triple Crown racing series. In Australia there is no Triple Crown, but there are a number of races which are designed to produce a thoroughbred racing champion. These include the Melbourne Cup, the Caulfield Cup, and the Victoria Derby. The Cox Plate is situated between these events, and it always features a field full of the best horses on the continent. The first winner of the Cox Plate was Violoncello in 1922. For the victory the owners of the horse claimed 1,000 pounds. Since that time the race has only grown in prestige. Today it is part of a racing event that features $5,000,000 in purse money, making it one of the richest events in horse racing. The Cox Plate is contested at a distance of 2,040 meters, no small feat for the horses that will run in the event. It is considered a classic event in international horse racing, and it even challenges the Kentucky Derby for the designation of the Greatest Two Minutes in Sport. Over the years the Cox Plate has furnished bettors with some exciting moments. In 2000 the race was won by Sunline in dramatic fashion. The horse bested its rivals by an amazing seven lengths. Kingston Town won the race three times in a row in the early 1980s, and in 2018 the filly Winx destroyed her competition to take home the victory. This famous horse race from Australia has become part of something that has come to be called the World Series in horse racing. The series is made up of races from all parts of the world. Races in the series include the Japan Cup, Hong Kong International Cup, Arlington Million, and the Canadian International. Also included in the series is the Breeders’ Cup Classic in the United States. The Cox Plate has a place of importance in the World Series of Horse Racing, and some of the horses that compete in the event will ultimately go on to participate in the other races on the calendar. Horses are able to distinguish themselves by performing well in several of these competitive events. 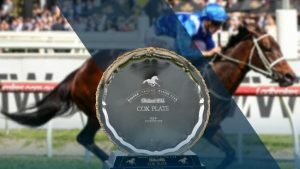 In 2019 the Cox Plate will be held on Saturday, October 26. The organizers of the event are making an effort to elevate the race to the level of the Kentucky Derby. They have even taken the famed slogan of the Kentucky Derby for their own, an act that will probably not set well with the folks in Louisville. The title of “Greatest Two Minutes in Sport” has long been held by the Derby and that is not likely to change, but the hosts of the Cox Plate believe that they also have a claim to that title. The event promises to be a weekend full of exciting Australian horse racing action. On the Friday before the Cox Plate is ran there will be the Manikato Stakes, another large stakes event for the best horses in Australia. There will also be entertainment and events all week leading up to the big race. Among these events are the Barrier Draw Breakfast and the Ladies Fashion Luncheon on Wednesday, October 23 before the Saturday event. One of the great things that we like about Bovada online racebook is its selection of horse racing events all over the world. You do not have to limit yourself to betting in the US when you sign up with Bovada. You can wager on all the big races in Australia, Japan, and the UK with a single account. Wagers can be made right from your computer, phone, or tablet. Those who attend the Cox Plate live in Melbourne will have the ability to make bets with the bookmakers that are on-site to provide punters with betting opportunities. In this situation the odds on each horse in the event can vary. When you play with an online racebook like Bovada this is not a concern. The odds provided by the online racebook are tote board odds. This means that they reflect the betting pool that has been established by bettors just like you. You will get the same odds on the Cox Plate that are being offered at the track. If you have not already created your online horse betting account with Bovada, now is a great time to do so. 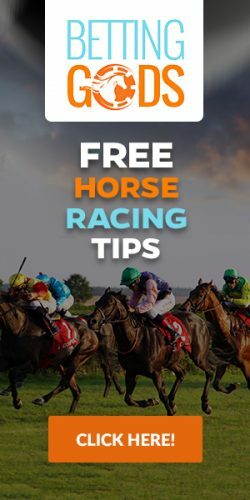 You can fund your account with cash or with Bitcoin, and you have access to all the same betting options that you would have in a live racing facility. By joining now you will have plenty of time to master the horse races in Australia before the Cox Plate is ran in October 2019.